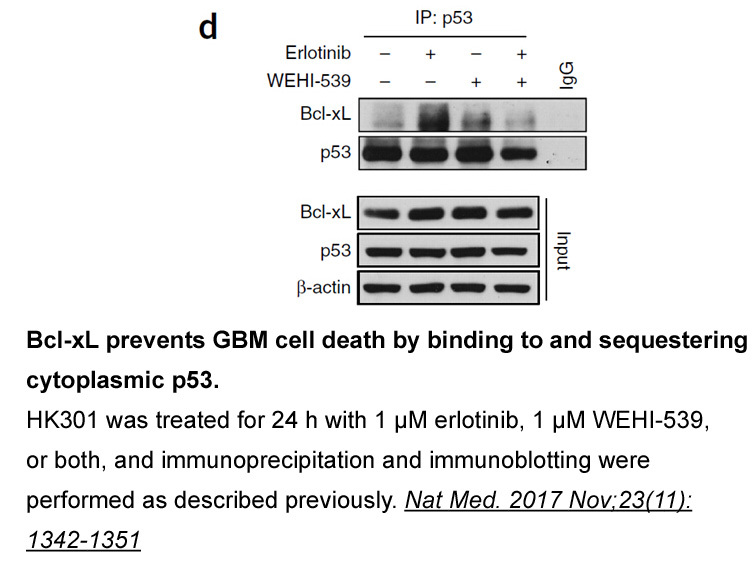 WEHI-539, has high affinity (subnanomolar) and selectivity for BCL-XL and potently kills cells by selectively antagonizing its prosurvival activity. 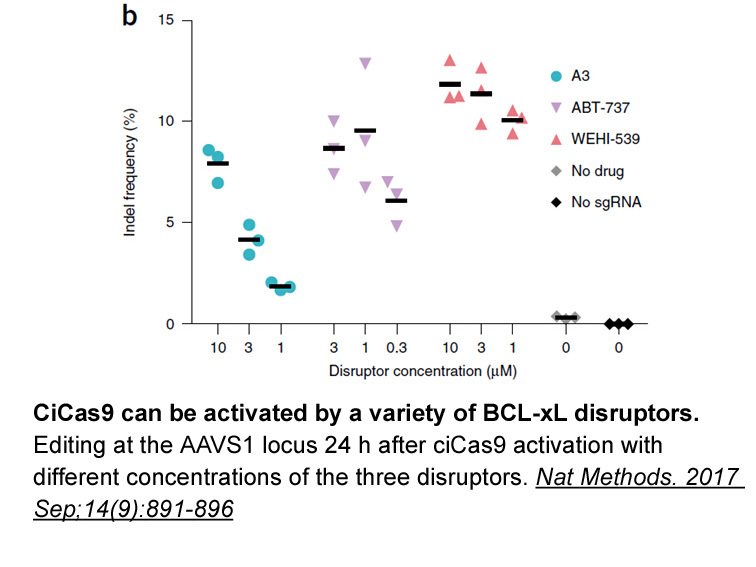 WEHI-539 has a high affinity for BCL-XL (IC50 = 1.1 nM). XLwith an IC50 value of 1.1 nM . 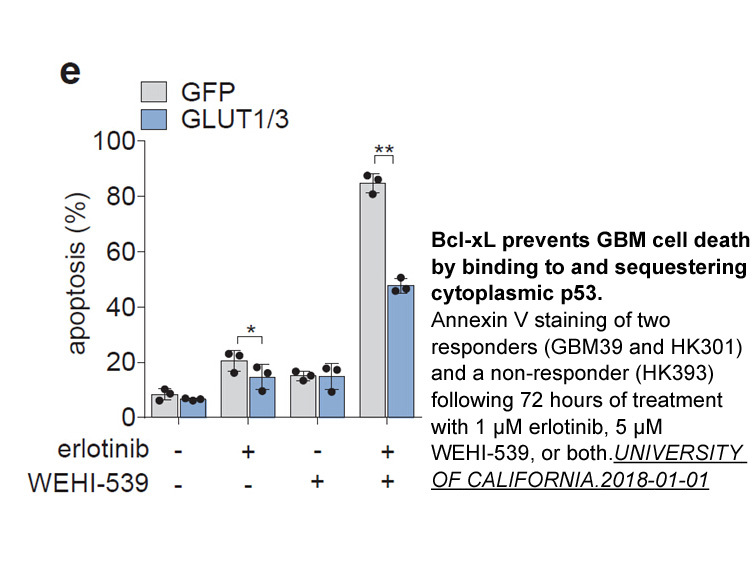 WEHI-539 was designed as a BCL-XLinhibitor with high affinity. 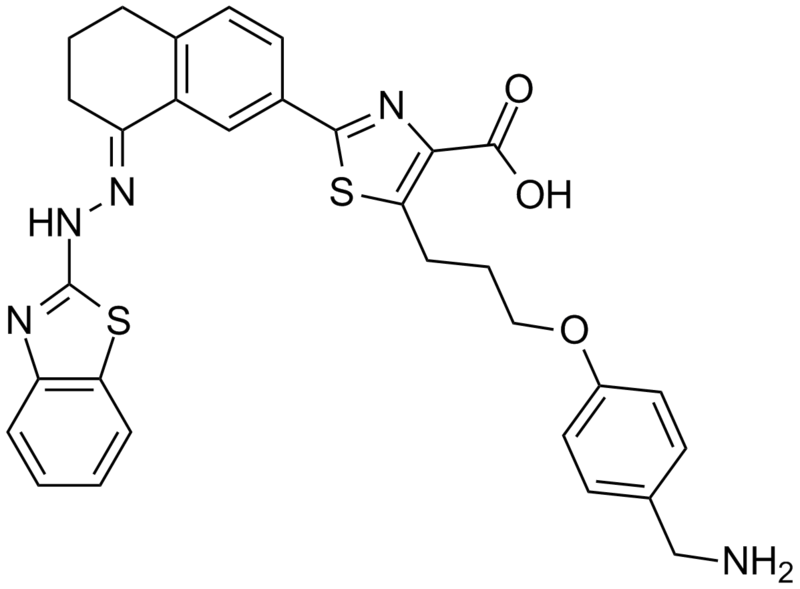 It interacted the with the binding groove of BCL-XLwith a Kd value of 0.6 nM. 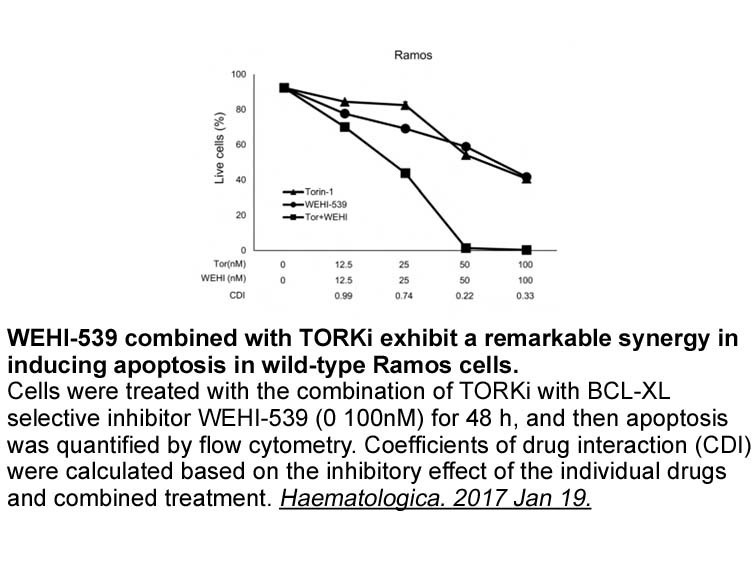 In MEF cells lacking MCL-1, WEHI-539 induced apoptosis which was evidenced by the release of mitochondrial cytochrome cand caspase-3 processing. 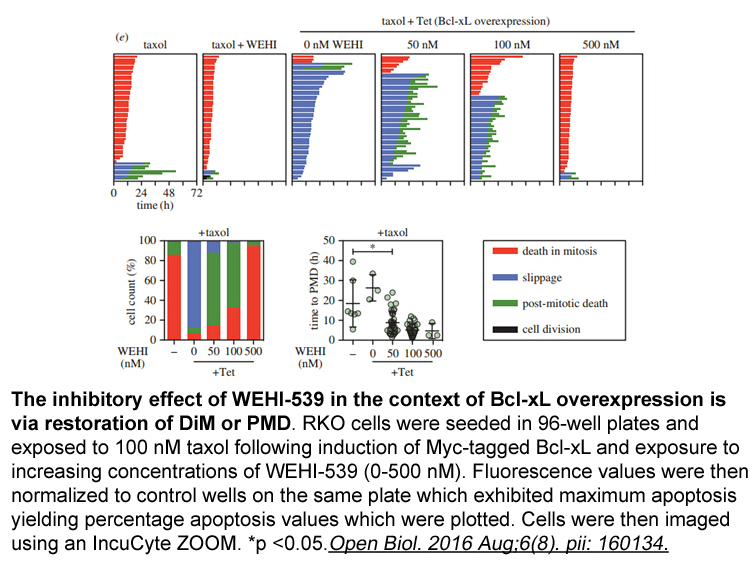 In BCL-XLoverexpressed MEF cells, WEHI-539 showed EC50 value of 0.48 μM. 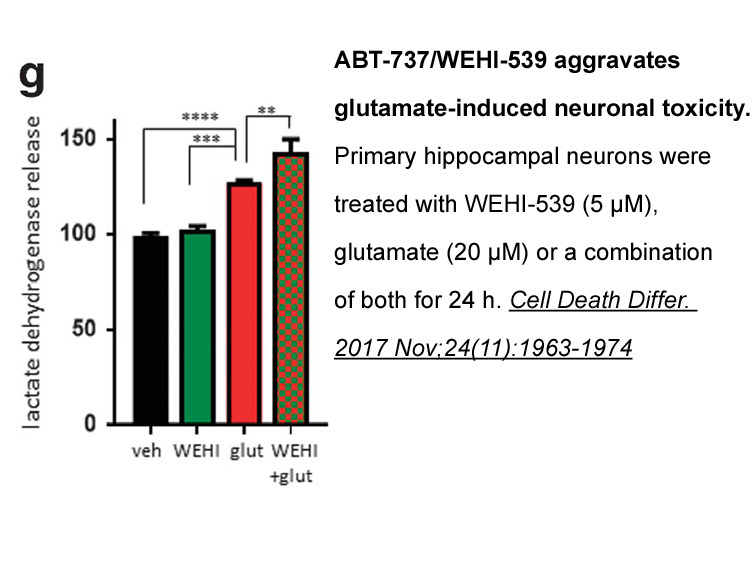 WEHI-539 also significantly induced apoptosis of the platelets purified from mice. 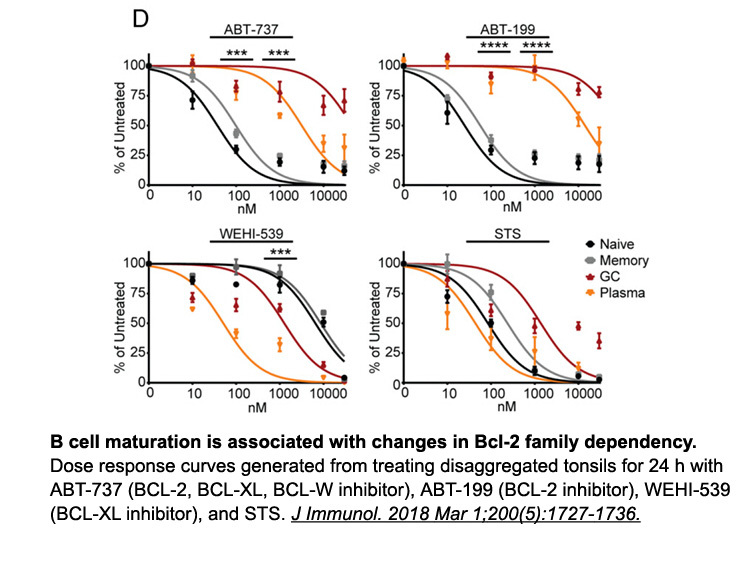 Besides that, WEHI-539can not kill MEF cells lacking BAK because the cell death mediator BAK is regulated by BCL-XLand MCL-1. .